The Sharp EL-738 financial calculator is pre-installed with common finance-related formulas that prove valuable in business management, you can conveniently generate accurate results in a timely manner with the use of a financial calculator. Large Display : 2-line, 10-digit display - 1 line equation and 1 line numeric LCD display with mode indicators. Calculations : All time-value-of-money calculations, amoritization, non-uniform cash flow, and interest rate conversions. 2 Variable Statistics : With linear regression. 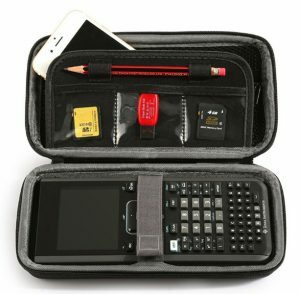 Additional Features: Cost-sell-margin and mark-up calculations, sign change, percent and square root keys, protective wallet, solutions manual and batteries included. The Sharp calculator EL-738 computes all time-value-of-money calculations. In addition, it is able to perform interest rate conversions, amoritization calculations, and non-uniform cash flow calculations. This financial calculator is ideal for business students and professionals. The Sharp EL-738 2-line display financial calculator features a non-fuss ergonomic design. All the big, easily visible buttons are specially designed to require light pressure for a much faster response. Its large 2-line, 10-digit display is equipped with a playback function that allows you to edit previously entered digits without worrying about reentering all the digits again. Generate important financial information such as interest rates conversions, time value of money, cash flow and amortization. 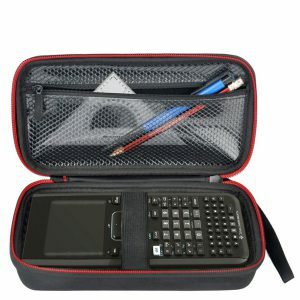 Simply input the relevant data and choose the appropriate function that you need, the Sharp EL-738 financial calculator will do the calculations in a breeze. If you want to organize your records, you can also check out the Sharp EL-2196BL printing calculator to help you keep tabs of all your important transactions. Simply Perfect Calculator. This was a replacment for my older Sharp as I needed a new calculator for my mortgage and realty business. My older one was also a Sharp and I loved that one too but this new one has the new buttons that makes it easier and better display. I am a finance major. They made a great product. 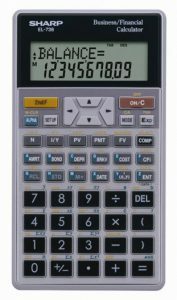 sharp financial calculator el-738 is easy to use with big buttons. Works perfect. I ordered the hp10 and it sucked. I got this now and much much better...and cheaper. 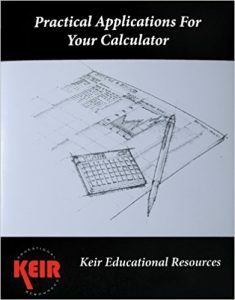 Get it if you need a good working finance calc. This is my first financial calculator and I found that it is very useful comparing to others use by my classmates. Especially when calculating PMT/PV/FV function. I also use it to calculate IRR, it is easy to obtain the results by just hitting a few buttons. I have been using this calculator for this semester in an investment class and it is so helpful to get solve the questions. When comparing to other financial calculator, I don't have to get through a lot of steps to get my answers. I just need to hit two to free buttons, unlike other traditional financial calculators, they will take a long time and a lot of complicated steps. The buttons are easy to press and it feels comfortable when using it. Even if I don't need to use the financial function of the calculator, the calculator itself acts as a good calculator for general maths calculation. Overall, it completely met my expectations for financial calculator. It is a big improvement over the old Sharp Fin Calc I got way back in the late 80's. Very similar design and layout. This one is larger, which is great for my older eyes. More functions and flexibility, more memory keys also. Easy-to-use financial calculator. I purchased it for my Graduate class in Financial Management and it has been working out great!